Game ... Money ... Excitement ... These concepts are inseparable. A new video slot “Golden Bucks” confirms that. 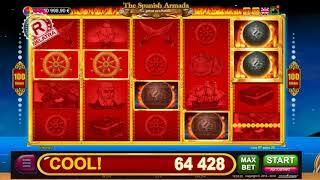 This classic slot game has been enhanced with new symbols, as well as fast, but very cash bonuses. All this goes in a package with the new graphics and nice jangling of coins as sound effects. Sometimes people say money is the answer to everything! Then Golden Bucks are the answer to everything in our new game. This BELATRA’s online slot machine is a colorful, spectacular, stylish and, most importantly, very cash game. In the truest sense of this word! Money will pour right on the reels. Thanks to a super symbol and a system of bonus credits, your wins will be huge! Besides, this game has many pleasant functional augmentations: pay table on the main screen, Jackpot “Wheel of Fortune” and many others. 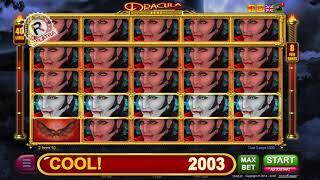 If you decide to play this slot online for free and without registration, come to our online casinos and enjoy the game! By the way, the slot “Golden Bucks” has been translated into 11 world languages, as well as all BELATRA’s online slots. Save bucks on the reels and get extra wins! If the super symbol “Golden Bucks” fills the whole line on the screen, it will bring you extra bonus credits. Risk games are the constant attribute of all video slots. A simple card double will allow you to increase your wins by several times - you just need to guess the color of the next card in the deck. Here, by choosing the color or the suit of the card, you can increase your win by several times. The risk game ends with the fifth successful doubling of the prize or upon reaching the maximum possible amount of the win. For those who feel like the jangling of coins and the rustle of bills are not enough, we are ready to offer a super bonus - Jackpot "Wheel of Fortune". Spin the reels in the main game and get JP points for each spin. When you score 2000 points, the super jackpot draw will start automatically. On the first wheel the main prize is the opportunity to spin the second wheel. On the second wheel - to win the jackpot "Wheel of Fortune". But nobody will leave without a win in this bonus - each sector of the wheel hides a prize - doubling or tripling of the points during the subsequent accumulation or additional JP points. Golden Bucks is a classic 3-reel video slot of the new generation! HD graphics and colorful design will not go unnoticed by all fans of gaming. Bucks are everything you need for a great game!